The Lenawara Rajamaha Viharaya is a prominent cultural and religious heritage site which exists since the Polonnaruwa kingdom days. 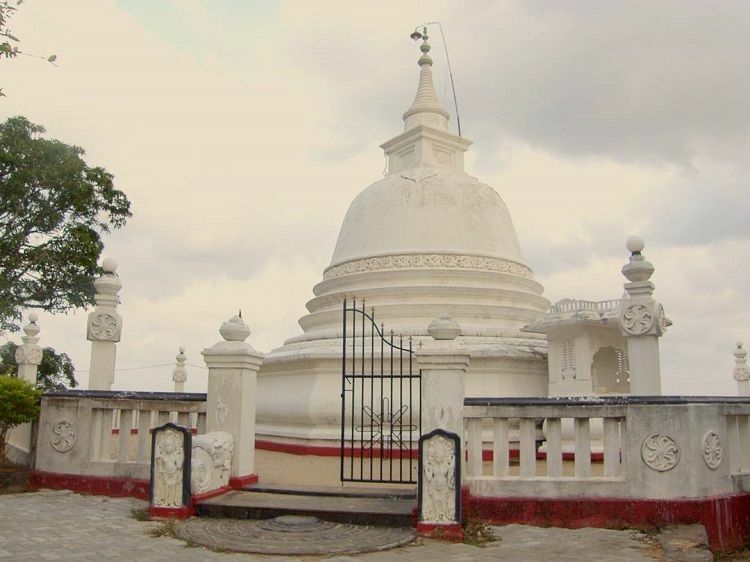 This Vihara can be found near the town of Bandaragama. Just 20 km away from Kalutara. 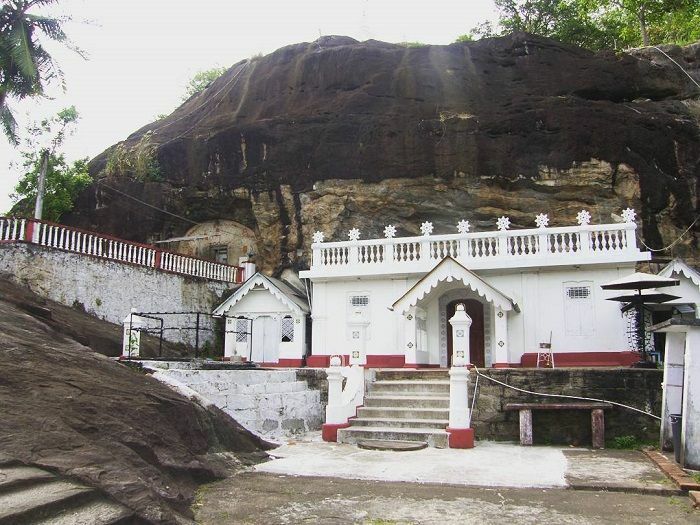 The temple lies on top of a naturally formed rock and takes quite a climb to reach to the top, similar to Mihintale or the Dambulla cave temples. There are staircases, both natural and manmade that leads you to the top. To reach the temple from Kalutara, travel northwards to Waskaduwa and take a right to Bandaragama road. Upon reaching Moronthuduwa junction, turn right to the Horana road to reach Millaniya. Take a left thence to reach Halthota. Turn right from the Halthota junction to Anguruwatota road and travel about 700m to reach the temple via a small road branching off to the left. This road can be easily missed so be on alert. Historians associate the temple with the period in which King Parakramabahu VI ruled the area. Within the temple, you can find inscriptions left by the king himself. When one thinks of places to visit in Kalutara district, this might not be the first site that comes to mind, but if you skim through our blog before your trip to the region, you’d know how much of a historical significance this temple is to the people of Lanka, especially Buddhists. As soon as you reach the top, you’d see a shrine room inside a cave of rock. This room houses a huge picture of a reclining Buddha along with a few other paintings. Behind the shrine room is a special devalaya (temple) that is dedicated to the Hindu God Vishnu. There are pools on either side of this shrine and they are filled with clear water that reflects the sky above like a mirror. Since you’re here check out the other serene temples in Kalutara district.